Lovely blouse from SAMSØE & SAMSØE. 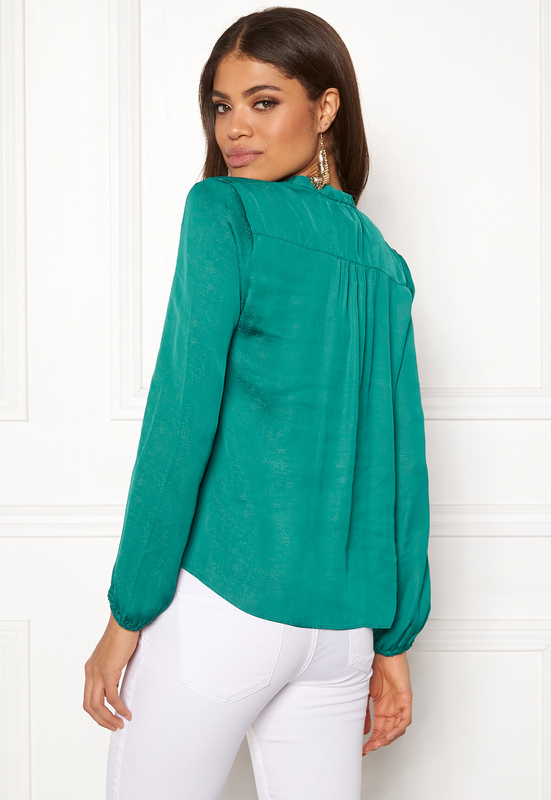 The blouse has a lovely satin quality with a woven pattern. - Nonstretch, woven quality - V-neck with elastic collar - Elastic wrists Back length from shoulder 60 cm in size S. The model is 176 cm tall and wears a size S. Machine wash at 30 degrees.